A collection of my puppets and props used in puppet show over the past 15 years will be on display January and February of 2015 at the Sewickley Public Library, in Sewickley, PA. Curated by Randi Morgan, the show is viewable during library hours. Highlights of the display include puppets from a production the Aristophanes play Peace, and puppets from my Dada show Flight Out of Time. 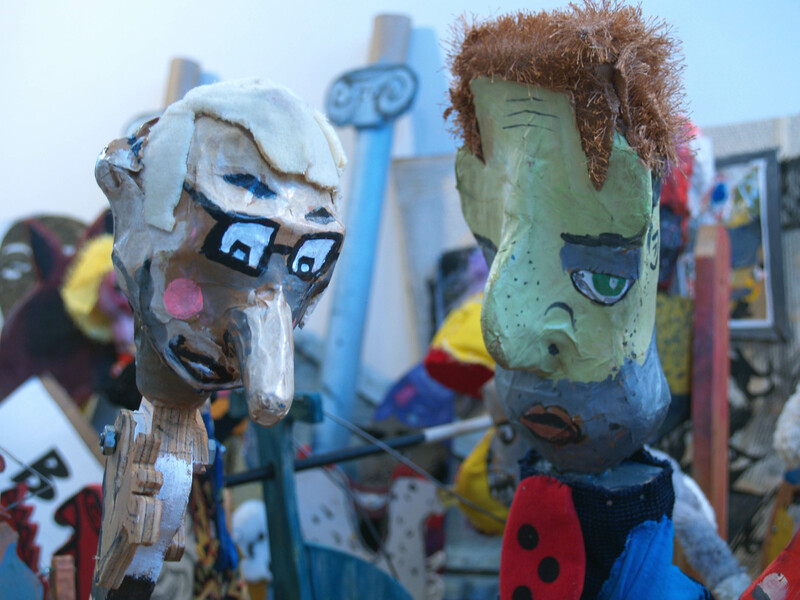 All characters are handmade from wood, cardboard, papier-mâché, repurposed materials and paint. On Saturday, February 28th, I’ll be performing shows with puppeteer Mike Cuccaro in the library community room. The family shows will start at 2 PM and 3:30 PM. Please watch the Sewickley Public Library Website for details.